Lena Lake Trail #810 - This trail is 3.6 miles to the junction with The Brothers Trail and is considered moderate. 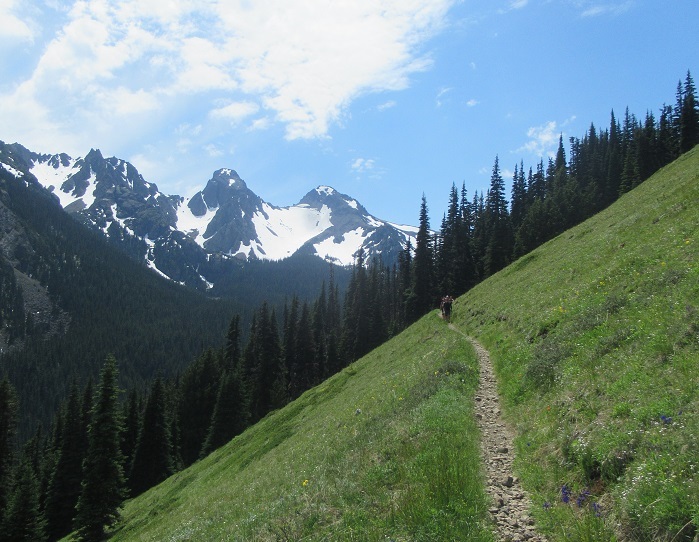 The Brothers Trail #821- Accessed from Lena Lake Trail #810, this 3 miles trail provides access to popular climbing routes to The Brothers. It is considered easy to difficult. 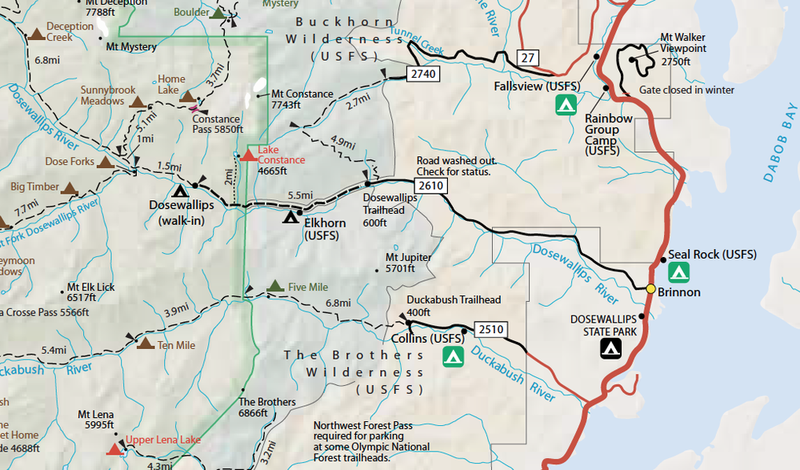 Duckabush Trail #803 - This trail follows the Duckabush River and enters Olympic National Park at 6.2 miles. It is considered easy to difficult. Mt. Jupiter Trail #809 -This difficult 7.9 mile trail provides access along Jupiter Ridge to Jupiter Lakes. This trail is hot and dry during the summer months. Tubal Cain Trail #840, This 8.6 miles trail is considered moderate. Tunnel Creek Trail #841, This 7.6 mile trail is considered difficult. 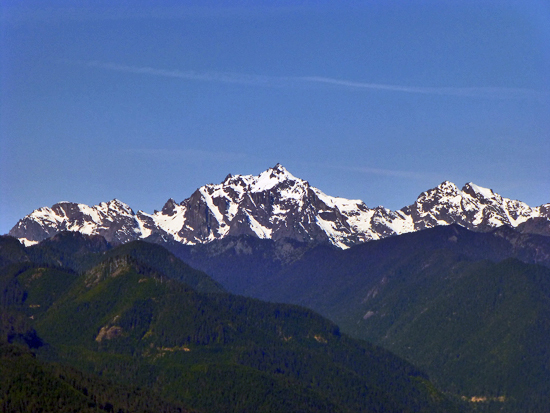 Upper Dungeness Trail #833.2, This 8.1 mile trail is considered moderate. Upper Big Quilcene Trail #833.1, This 5.3 mile trail is considered moderate. Silver Lakes Trail #842, This 2.5 miles trail is considered moderate. Mt. 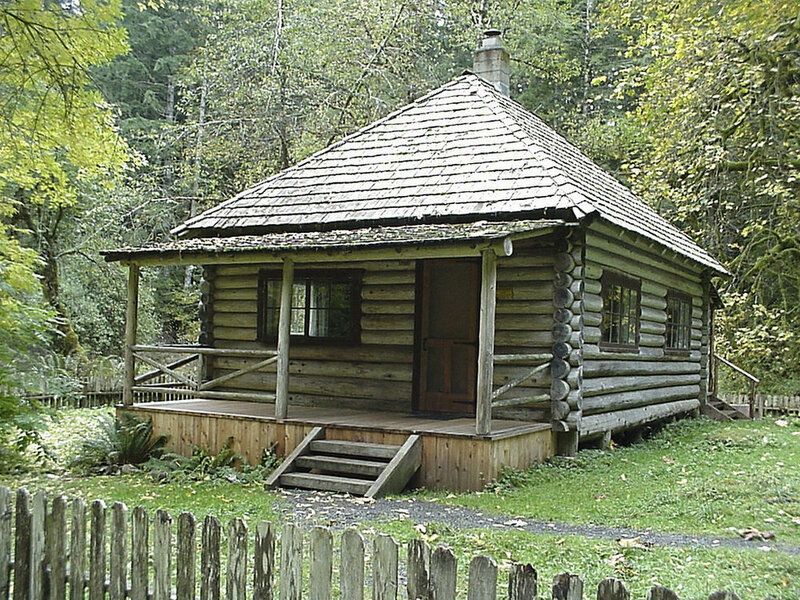 Townsend Trail #839, This 6.7 mile trail is considered moderate.